We spend over a third of our lives sleeping, yet I’m seeing more and more people struggling with sleep. Insomnia, sleep disorders, sleep deprivation all impact our ability to function on a day to day basis and our overall quality of life. The reality is we are all born with the natural ability to sleep, you cannot make yourself go to sleep, you can only prepare yourself for a good night’s sleep. The stresses and strains of busy day to day Modern living often inhibits our ability to sleep naturally, the more you try to sleep the harder it becomes and the more you keep yourself awake and prevent yourself from sleeping. Creating even more worry and fear that you won’t be able to sleep at night. 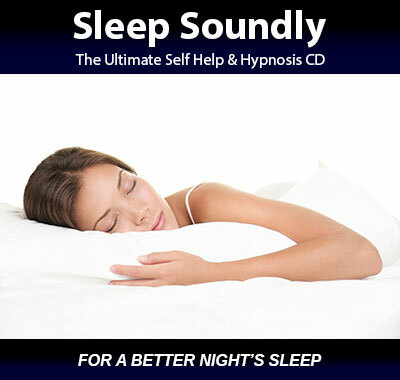 This audio program is designed to help you re-programme and re-educate your mind to slow down and stop your mind racing, eliminate negative sleep habits, allowing you to relax calmly and easily into a good quality peaceful sleep. Within the next few minutes you can be listening to the Sleep Soundly audio programme from the comfort of your home, computer or smart phone and re-programme your mind to sleep naturally, soundly and peacefully. Are you ready to Sleep Soundly, and enjoy a better quality sleep and overall life that you want? Imagine how increasing your natural ability to sleep peacefully, soundly and easily will change and improve the quality of your life for the better, how much better will you feel?